what we pretend to be." When I was a little girl and heard my mother tell me some flowers were forsythia, I thought she meant they were for me, "for Cynthia." Once my confusion was cleared up and I understood their name just happened to sound like they were mine, I enjoyed thinking of these flowers as being for me... and also that hyacinths were saying, “Hiya, Cynth!” This kind of make-believe helped me feel welcomed by the garden, and was harmless in a positive way. Rather than feeling the world was full of things that weren't for me, I had quite the opposite sense--that many things I had yet to meet were there especially for me. Children spend a lot of time pretending and playing make-believe that they are grown-ups, doing adult activities. This kind of imitation ensconces us in a feeling of being completely at one with an experience, so it's no wonder children love this type of play so much. Intriguingly, studies show that humans appear hard-wired to learn by 'over-imitation' , meaning that unnecessary activities and extra steps are included when children observe an adult doing them. A study by scientists at Yale found that children follow demonstrated steps so faithfully that they will change their mind about how various objects function, based on doing the extra steps. Psychologist Derek Lyons explains, "What of all of this means is that children's ability to imitate can actually lead to confusion when they see an adult doing something in a disorganized or inefficient way. Watching an adult doing something wrong can make it much harder for kids to do it right." One of the things adults often lose as they give up childish things and ways is a sense of make-believe and pretending... though what many adults may not realize is that pretending never ends. When we recognize we learn new material in a very holistic way... not just through watching or just by listening, but with all of ourselves--mind, body, and spirit--we can better understand that every time we learn something, we are pretending every step of the way. And what we pretend matters a great deal, indeed. Want to know how best to pretend so you can feel most fully engaged and satisfied in body, mind and spirit? Keep asking, "How good it can get?" and chances are extremely good you are well on your way to finding out. Receive over $500 of Free Gifts when you sign up! 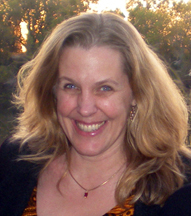 Make the Leap from Accidental Manifestor to Conscious Creator with me in the MindBodySpirit Summit! Over twenty best-selling authors and internationally famous experts in the field of Mind-Body-Spirit are featured in this exciting event, including: Lynne McTaggart, Sonia Choquette, HeartMath's Howard Martin, Penney Peirce, Deborah King, Steven Halpern and me. 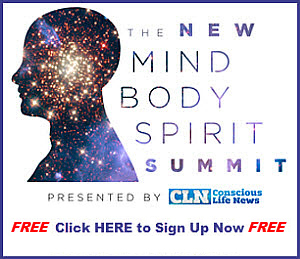 Sign up now to participate from your computer at your own convenience wherever you are in the world in this first-ever Conscious Life News Telesummit. And did you notice that I am part of this telesummit? I am really excited about my contribution to this wonderful event! I hope you will join us and Make the Leap from Accidental Manifestor to Conscious Creator with me. I have made available to attendees of this telesummit a special all-digital package of six e-books and one audiobook that is available for purchase with a special discount through this Telesummit. 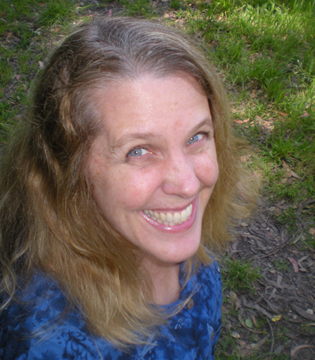 Paranormal Connection host Dänna Wilberg interviews best-selling author Cynthia Sue Larson, talking about reality shifts, Qi energy, and kundalini awakening. Reality shifts are macroscopic scale experiences of quantum scale events... such as quantum entanglement, quantum tunneling, and quantum teleportation. Parallel universes are one possible quantum interpretation in physics, and Larson describes real life accounts that seem to indicate we literally jump between parallel worlds. This conversation covers what it takes to win the lottery, and how best to align one's internal energies constructively, rather than destructively. Discussion about why we sometimes see more of what we fear, and how our mind organizes information like an orchestra conductor holding a vision of how a symphonic musical composition is played. This is the first part of a two-part interview. 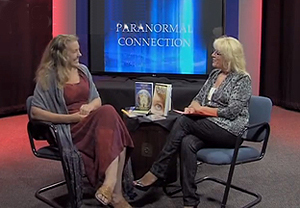 Paranormal Connection host Dänna Wilberg interviews best-selling author Cynthia Sue Larson, talking about reality shifts, auras, energy, money, meditation, and changes anticipated in the new world after 2012. This is the second part of a two-part interview. I’m grateful to know a number of remarkably inspirational men and women who may not yet be household names, but who are making profound, positive changes on Earth. It’s my great honor and pleasure to introduce one such woman to you who I’ve known since 2009–Joni McLachlan. We have a wonderful time talking about turning fear into love and the amazing healing power of Galactic Blue. After years of focusing solely on patients' physical ills, more doctors are finding it helps to treat emotional and spiritual pain as well. Mounting scientific evidence of the benefits of yoga encourage Western medicine practitioners to loosen up. I listened to the talk you gave and it was wonderful. 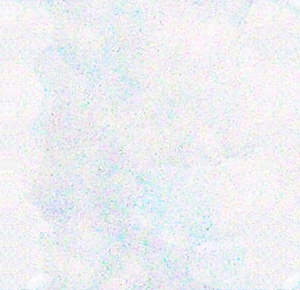 Then, something strange happened which seems to happen when I'm connected with you. It all has to do with a book. When I was a little girl, my grandmother had a very strange book called Tales that Nimko told. Nimko was an elf, and the stories were very odd and very magical. Because I loved the book so much, my grandmother eventually gave it to me. I cherished it and always kept it in a safe place. When I moved to Wisconsin from New Mexico, I packed it carefully but when I unpacked my things, it was no where to be found. I couldn't imagine what had happened to it. I was just heartbroken. This was 14 years ago. Every once in awhile I would go on the internet to book search sites and type in the name, but there never was a match. I don't think it was widely published. Of course I also hoped that the one my grandmother had given me would reappear, but it never did. Then around midnight of the evening of your talk, I woke up with a very clear message in my head to go to the rare book website and type in the name of the book. Even though I thought it was a crazy thing to do in the middle of the night I did it, and there it was. I couldn't believe it! I grabbed my credit card ordered it and then printed a copy of the order because I knew in the morning I would think it had all been a dream. I can't wait until it arrives, so I can read it again. Perhaps someday I'll have a granddaughter to read it to. Note from Cynthia: What a wonderful experience--and thank you so very much for telling me! I love the name of the book, "Tales that Nimko Told," and get the warmest feeling about it. I'm so glad that you found a copy of this beloved book for sale, and that you'll soon have it in hand again! I have had more than one parallel reality, or more so "twighlight zone moment". This one was particularly bizarre, and refreshing because I have a witness. One day my friend and I were playing tennis. We were sparring back and forth, when he hit the last of our 3 balls over into the next occupied court. I was keeping track and knew for a fact it was the last ball, so I ran right over to pick it up along with the others. As I bent over to pick it up I heard someone say "that’s our ball". Confused, I looked up and noticed 4 people staring at me. I paused, looked at the ball, looked over to my friend, placed the ball down slowly and walked to my friend totally dumbfounded. In shock I asked him if he saw what just happened as I did. He said yes, then confused himself he reached behind into his shorts pocket, and there was our Third ball! I just stood there with my mouth hanging open; we couldn’t wrap our minds around it, so eventually we carried on playing. I tell you I will Never forget that experience! Note from Cynthia: Thanks so much for writing to me, and for letting me know about your reality shift experience with the tennis ball. I'm glad you had a witness, so you can be assured that something amazing really did happen--sometimes when these shifts occur when we're alone, it's easy to question whether we actually remember things properly. The orchid essences described in this book are like 'meditation in a bottle,' thanks to their powerful and immediate positive effects. This book lovingly describes benefits from dozens of orchids grown in a greenhouse on a beautiful Scottish isle, in a home which doubles as a B&B for guests and workshop participants interested in learning about the wonders of orchid flower essences. I love the way author Don Dennis describes how he made the transformation from flower essence distributor to orchid essence creator, largely thanks to being invited by a lovely orchid to "Make an essence with me." While Don may have thought, "you've got the wrong guy," most of us who've been fortunate enough to have been graced with the uplifting benefits of experiencing these essences would vigorously disagree. Orchid Essence Healing provides readers with a history of flower essences and remedies, a journal describing the birth and growth of Living Tree Orchid Essences (LTOE), useful guidance for creating and selecting plant essences, and a gorgeous catalogue of LTOE greeting cards, photo cards, essence tinctures, and sprays. I love the charts and diagrams included in Orchid Essence Healing that help readers discern how various orchid essences and blended orchid essences interact with the human body's energy centers. Primary and secondary meridian centers are indicated for the orchid essences, so one can see, for example, that Behold the Silence (comparetia macroplectron) works primarily with the heart meridian, and secondarily with the Kidney. Another chart colorfully indicates recommended orchid essences for human chakras, and a third Venn diagram shows the author's perception of vibrational essences and how various remedies relate to enhancers. Before reading this book, I was unclear about the differences between Bach Flower Remedies and Orchid Flower Essences. Orchid Essence Healing explains that the differences are numerous. I've now come to understand that Orchid Flower Essences are created with active participation from living flowers, in such a way that their life force energies are given with each flower's blessing into dishes of water lovingly placed under each blossom in a special quiet room designated for this 'temple activity.' While Bach Flower Remedies work on lower vibrational life issues, Orchid Flower Essences take the recipient to some of the highest vibrational points... typically attainable otherwise only after years of concentrated meditative effort. I've personally tried three of the Living Tree Orchid Essences (LTOE) described in Orchid Essence Healing, and each of these works consistently, powerfully, and nearly instantaneously. I can't find enough superlatives to adequately convey the sense of peace, calm, love, joy, groundedness, connection, wisdom, clarity, protection and guidance that comes through these 1.5 ounce bottles of orchid healing. I greatly admire the tremendous generosity of heart and spirit shared by Don Dennis, as he describes in exquisite detail just how one might create one's own floral and plant essences. Reading his book, I feel like Don is personally inviting me on a journey of exploration and wonder to see the flowers and gardens around me open my eyes to a whole new sense of the intelligence of the plant kingdom around me. I love Orchid Essence Healing for the tremendous beauty of the orchid photographs that grace most every page of this book. I love the descriptions of the Latin names alongside orchid portraits and accompanied by intuitive insights regarding the gifts each of these orchid essences shares. This book is a must for anyone who loves orchids, alternative healing, meditation, and spirituality.